In his last letter written, the apostle Paul encouraged Timothy with these words, “Do your best to present yourself to God as one approved, a worker who has no need to be ashamed, rightly handling the word of truth” (2 Timothy 2:15 ESV). The ability to read, understand, and apply the Bible in daily living is vital for all who follow Christ. 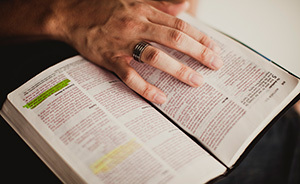 The act of interpreting the Bible falls into the category of hermeneutics, a Greek word that means to “interpret.” The study of hermeneutics focuses on learning how to accurately read the Bible and apply it to life today. 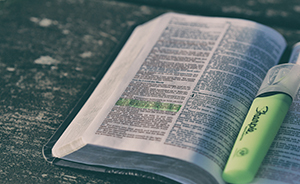 Evangelical Christians affirm the Scriptures as God’s inerrant word, but we still disagree sometimes over the meaning of particular verses or passages, and these differences can influence our Christian doctrine and practice. Biblical preaching is a divinely ordained way of calling people to repentance and for edifying the people of God. 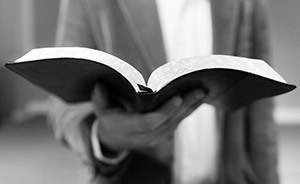 It is communicating God’s Word to His people—standing between the world of Scripture and the world of people and speaking the truth of God. The term hermeneutics can be intimidating. It sounds academic and is foreign to most of our vocabularies. However, the act of interpretation is as common as communication itself. Preaching is the primary way God has appointed for the teaching of the truths of His Word. 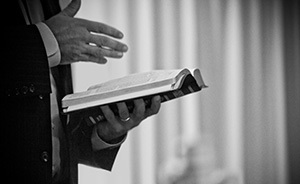 Preaching well done honors God, expounds the Bible, and equips its hearers for spiritual growth and fruitful ministry.